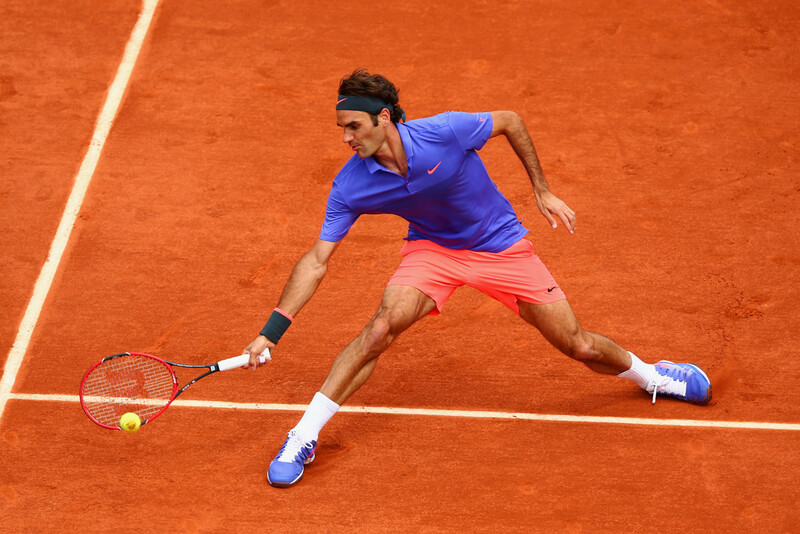 Roger Federer polished off Gael Monfils without eating too far into his energy reserves on Monday, knowing he will need everything in his tank to face fellow Swiss Stanislas Wawrinka in Tuesday's French Open quarter-final. 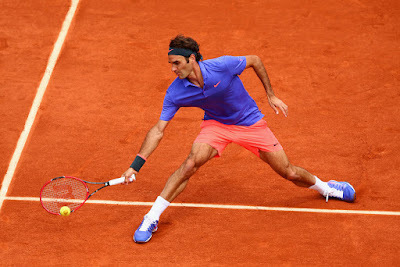 Locked at one set apiece when bad light stopped on Sunday, Federer was quickly into his majestic stride when battle resumed, winning 6-3, 4-6, 6-4, 6-1 against the local favorite for a place in his 11th quarter-final at the clay-court major. The match lasted two hours and 17 minutes. "I wanted to get off to a good start, because you never know how he will be playing," said Federer. "So I felt good. I was calm yesterday. I was calm this morning. So Stefan Edberg and me adopted the right game plan and the right tactical approach. I'm very happy. "Today I was just really focused on my concentration to really not miss my volleys, and everything worked out very well," he said. "I was able to mix up my game, serve big when I had to. It was exactly what I wanted to do today." His thoughts then turned immediately to his 2008 Olympic gold medal-winning doubles partner Wawrinka who he leads 16-2 but who has pushed Federer hard in recent meetings - most notably at last year's ATP World Tour Finals when they fought each other to a standstill and tempers boiled over. "It will be a special match," said Federer. "It is not a traditional match. There aren't too many Swiss players in the draw... It's always special to play each other. There will be a Swiss guy in the semi-final. That's positive. I hope I will reach the semifinal of a tournament. I will pull out all the stops to advance to the next round. If I will not make it, I will be very happy for Stan. "We know each other very well. Most of the time it's a physical game, and we know that. So we are confident in our physical form. "Mentally, it's a little bit bizarre to play one another. We know exactly the zones that we want to hit, so we have to play slightly different to the traditional game plan." 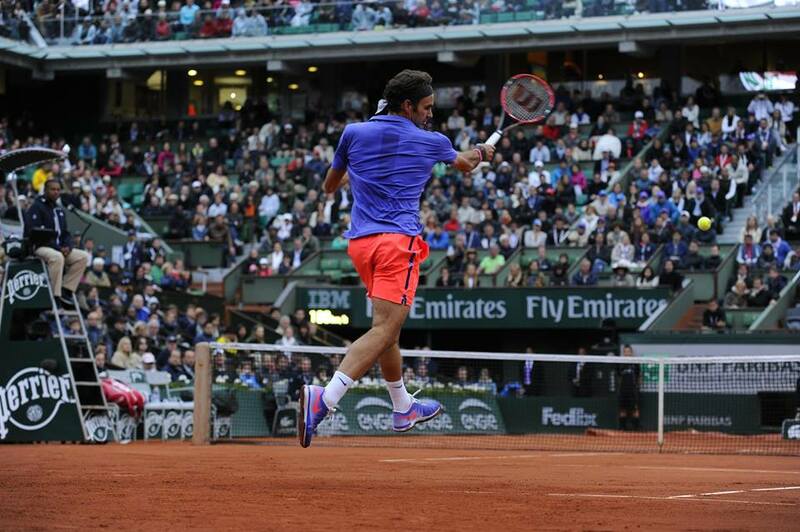 Resuming at one-set all, Federer needed 63 minutes to wrap up the third and fourth sets. He quickly broke clear of Monfils and came close to taking a 4-1 lead in the third set. Monfils fought back, forcing Federer to save one break point at 4-3. 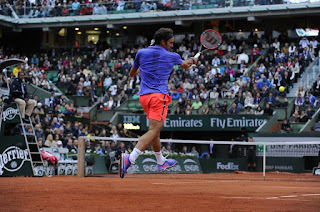 Federer broke in the first game of the fourth set and, at one point, won 10 straight points to take the match away from Monfils. Federer is now 29-5 on the season, which includes three ATP World Tour titles. Afterwards, Monfils said, "It was tough because I'm sick. I have not much energy. Yesterday, I thought that maybe we might not play and it would help me a little bit, and finally we did play. I was battling to get a set and actually for me one-set all was perfect. "I didn't have a great night last night, so it was maybe a mistake. Roger played solid. I think not very decent, but just a solid match. I couldn't challenge him because I was too tired... When you're 100 per cent is it's never easy to beat Roger, so when you're not 100 per cent it is definitely impossible." Second seed Federer is in the opposite side of the draw to Rafael Nadal, Novak Djokovic and Andy Murray - and admits the prospect of a second title would be "unbelievable". "Clearly those thoughts also creep into my mind sometimes and go 'how would that feel again?'" the 33-year-old father of two sets of twins said. "Everything crosses your mind as you sit at breakfast and you have for once a quiet moment when the kids are not right there. I'm realistic. I know there is a chance. I feel there is a lot of tennis left for me to play here."